When attending an important event or even hosting one, are you unable to feel complete excitement because you go into panic mode wondering, "but what on earth am I going to wear"? Do you want a beautiful, eye-catching, conversation-starting look but not sure how to put that together or where to find it? Well then lovely I've got you covered! Get ready to feel fabulous, receive compliments non-stop, stand out or even leave people wanting to know more about you! The Red Carpet Ready package (2 hours of styling + HMU): Includes head to toe styling for 1 - 2 complete outfits PLUS Hair and Makeup on the day of your event! Perfect for a brand photo-shoot, premiere, red carpet event, award ceremony/show, milestone birthday party, baby shower, prom, black tie gala, holiday gala or any other event that you need to look extra special for! Prior to our shopping trip, we will meet for a pre-shop consult to chat about the event in detail, determine your personal style, body type, budget, best colors and talk more in-depth about your vision, to ensure we curate the perfect outfit. I will source clothing stores, boutiques, emerging designer collections or showrooms based on the occasion, style/ look we are going for, your budget, and body type. With my roster of emerging fashion brands and boutiques you’ll have exclusive access to potential clothing rentals, discounts and custom pieces straight from the designer. 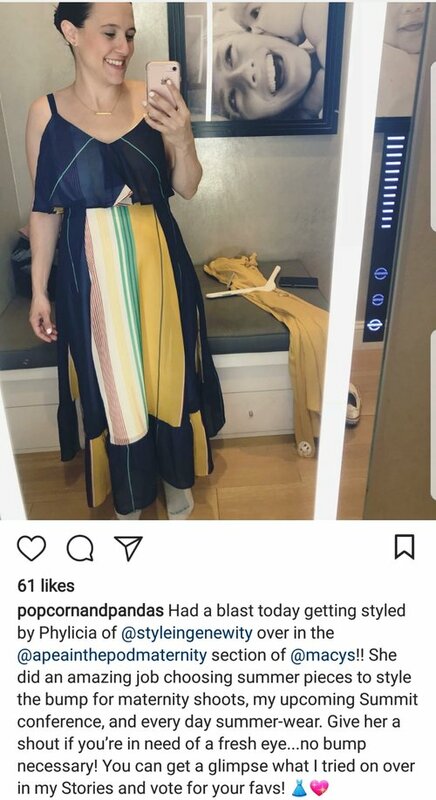 You’ll never show up to an event looking like anyone else! I will meet you at the selected location all set with a dressing room, the perfect pieces and multiple looks that I pulled for you to try on. Hair and Makeup: On the day of your event, you will have consultations with one of my recommended hairstylists and makeup artists to help you finish the look and make a grand entrance. *** If this is an online session, I will create a shopping look book of tailored suggestions with photos, correct sizes and links to purchase. We will narrow down and purchase the perfect outfit/s complete with accessories to finish the look. Would you like me to travel with my hair/makeup team to another state to style you in person for an event? Contact me here for rates!